Function Coffee Labs, a Philly-based specialty coffee shop with a focus on crafting delicious experiences, was the first branding project I took on under my new business last January. For this reason, FCL's branding will always hold an extra special place in my heart. My work with owners Meg and Ross not only helped me feed my caffeine addiction and better understand the specialty coffee realm, but it also helped me uncover my passion for branding within the hospitality industry. 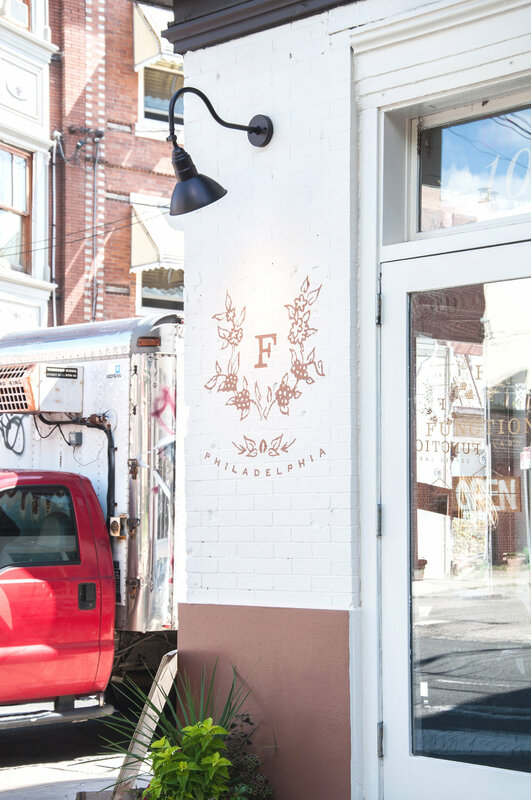 Beyond the logo design and brand essentials, I was fortunate enough to design the signage for FCL's South Philly shop too! Focused on creating a really gorgeous and inviting facade while working with a symmetrical corner lot, we decided on matching details that would seamlessly brand both sides of the space. 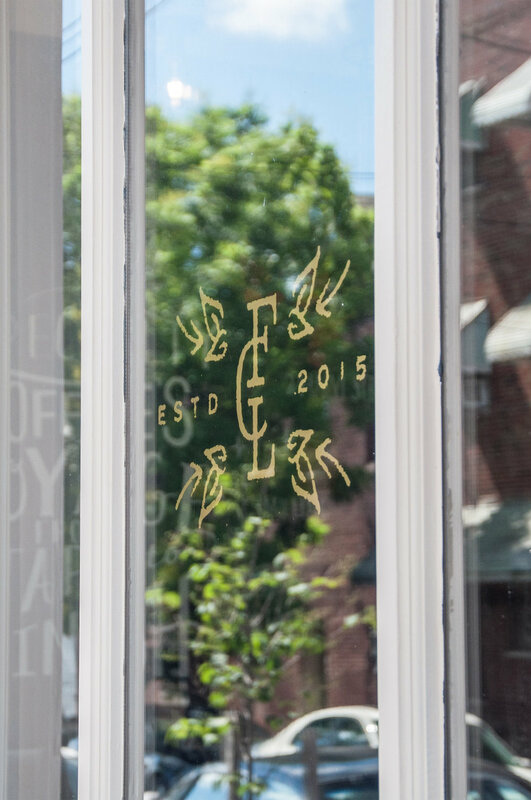 These signage details included vinyl gold decals for the windows and doors as well as the FCL mark hand-painted on the brick of both corners of their shop. This signage makes the shop a charming and unforgettable new addition to the Bella Vista neighborhood, and hints at the delicious experiences that await inside. I can't wait continue collaborating with Function Coffee Labs to see what we can dream up next for their brand. This project has given me an insatiable taste for specialty food and beverage branding, and I can't wait do more work in this space! For your hospitality branding and packaging needs, drop me a line and let's chat!